Welcome to the world of Wabeno Area Players. We founded our organization over 25 years ago. 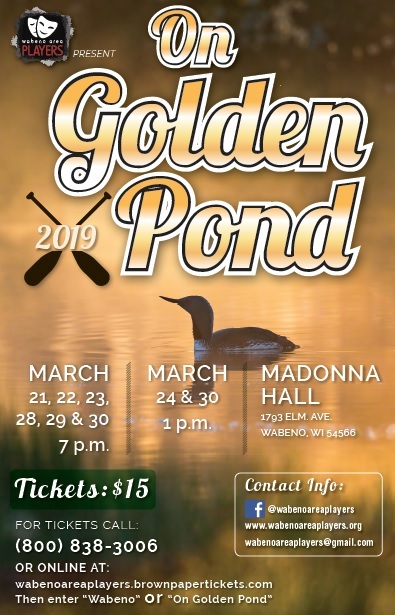 Our members are comprised of local artists and community members who came together to create this valuable community based outlet for cultural development and community involvement in the cultural development of the Greater Forest and Oconto County Areas. Funding from people and businesses like you makes our season possible. Only a fraction of our costs are covered by ticket sales, the rest come from individual donations and sponsorships. Wabeno Area Players believes in the power of the arts to revitalize communities. Support from enthusiastic local leadership, positive attitudes from within and around the community, local entrepreneurship support and investments like yours are what we need to succeed. Wisconsin local nonprofit arts organizations generate $535 million in economic activity annually, resulting in nearly $65 million in local and state tax revenues, 22,872 in full-time equivalent jobs and $479 million in resident income. Putting on a full season of shows, educational workshops and a camp is very expensive. The cost of one show can be several thousand dollars. Most of that money comes from private sponsorships from companies, organizations, and people like yourself. Where does the money go? • Provide a cash donation to underwrite the expenses of our shows and events. • Provide in-kind product, such as food, supplies, costumes, sound equipment, or media time, or in-kind service, such as, graphic design and photography. Whatever your business does, we probably have a program or event that could use it. 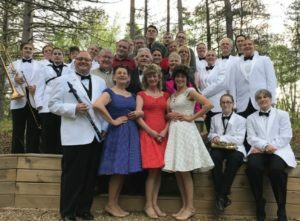 By sponsoring Wabeno Area Players with a donation, you enable us to continue to provide quality entertainment, and community programs that support our mission. In return, you will be prominently promoted throughout the area as an official sponsor. Our participants say they are more likely to do business with a sponsor than with a non-sponsor. Participants support WAP and want to spend their money with businesses that do, as well. Demonstrates your strong community support. An easy and effective way to market your business. Advertising expense tax write-off for your business. 56% of respondents said they would almost always or frequently buy a product or support a company sponsoring an arts or cultural event over one that does not. 48% of Americans with an interest in Art and Cultural events indicated that they hold a “Higher” trust in companies that sponsor these events compared to those who do not. Commitment to economic and cultural development of the area. Fostering a culture of philanthropy in the theater arts community. Enhancement of the reputation and philanthropic profile of you, your business or organization. Access to local entertainment providers, civic, cultural, and business leaders. Wabeno Area Players will customize all sponsorships to specifically meet your objectives.